The Spawn reboot is racing towards production. The movie is slated to begin filming in February and that means Todd McFarlane has a lot of work ahead of him. 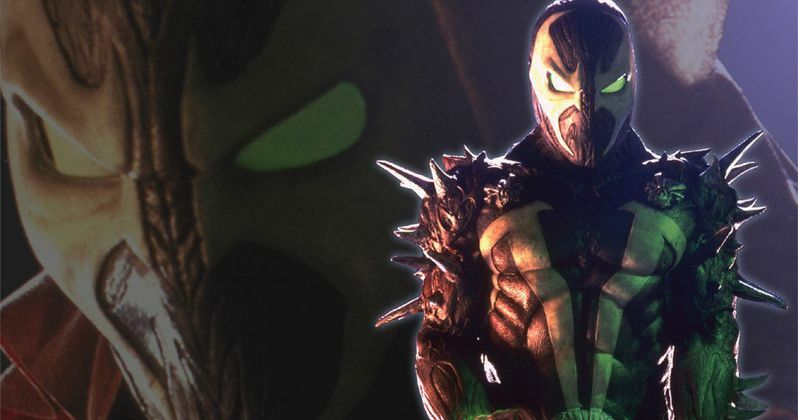 The man who created Spawn, who is also making his directorial debut with the upcoming reboot, recently provided an update on the movie's progress while speaking with Yahoo! Turns out, things are going quite well and McFarlane sounds confident as ever. Here's what he had to say about it. "Two days ago, I sent off the last of Blumhouse's notes, so we're going to move forward with budgeting, so we'll know how much money we need. We'll likely put that money together in short order, because a hundred people want to give me money, and I've got lots in my pocket. Once we put the money together, we'll go to Hollywood and start selling it as a pre-distribution deal that would guarantee us a release date we can all agree upon and a certain number of screens." Spawn isn't going to be your average comic book movie. Not only is it going to be much more of a horror movie, which is part of what helped get Blumhouse Productions on board, but it is also going to be made on a shoestring budget. While most superhero movies cost north of $100 million to make, Spawn is aiming for a production budget of around $10 million. According to Todd McFarlane, it won't be an issue to get the money together and, if need be, he'll help finance the movie himself. As for what we can expect? He echoes earlier comments, saying that the movie will be closer to Jaws and lists some other influences. "I always come back to Jaws, not that I have a shark in Spawn! But that shark was enormous. And at anytime in the movie, did they tell me why the shark was so damn big? No! Did it matter to me? No! All that mattered was that it was big and in the same vicinity as humans. Or John Carpenter's The Thing: where do the aliens come from? I don't know! What was its reason for taking over bodies? I don't know! It just was. I'm okay without an origin. Just give me a compelling story, scare the s*** out off me from time to time, and I'm along for the ride... To me, this story is my way of saying, 'Spawn's been around for 25 years, and he's been evolving for 25 years. This is where he's at now.' I can't do the same story over and over." The 1997 Spawn movie, which Todd McFarlane has been very vocal about his distaste for, is an example of a comic book movie gone wrong before X-Men and Spider-Man paved the way for the modern superhero flick. The biggest reveal in this interview with Yahoo! isn't so much that the movie is coming along, but that McFarlane is confident in this vision and that the movie will succeed. Spawn hasn't been given a release date yet, but we'll be sure to keep you up to date as any new information is made available.